In the Senior School, the College Houses, day and boarding, are a central part of life for all pupils. The strong sense of belonging and the level of care between pupils across the year groups, and between pupils and staff, make Bishop’s Stortford College a very special place. The House is a focal point of a pupil’s time; it is where they keep all their belongings and spend most of their free time, where they will have their own space to relax or work, and is the basis of many fiercely fought competitions! Each Day House is in the care of a Housemaster or Housemistress and each Boarding House under the care of a married couple who are the Houseparents. It is they who are chiefly responsible for the general welfare of each pupil in their care. In consultation with parents, they oversee the major decisions relating to the individual pupil’s school life and career development. They are each pupil’s main point of contact. The close-knit community, underpinned by the Houses, ensures that no pupil can slip through the support net – there is always someone who can listen and provide guidance to any issues that might arise, no matter how small. Apart from School House, originally the only school building, the Houses are named after prominent characters in the history of Bishop’s Stortford College. Throughout the year, a whole host of competitions, events, games and activities between Houses take place and every pupil is encouraged to get involved as much as possible. There is something for everyone (sports, art, debating, chess, general knowledge, music etc) and they allow pupils to become more involved in their House community, develop their skills, forge new friendships and have fun. Throughout the academic year, the houses compete, both in association with their partner House and separately, accumulating points as they take part in House Music, Brains Trust, House Hockey, House Netball, House Rugby, House Tennis, Yeo & Pearl Cups, House Debating, House Swimming and House Reading. 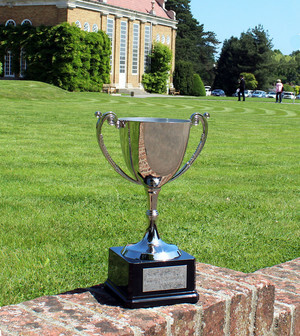 At the end of the Summer Term, the points from all the year's House competitions are added up and the pair of Houses with the most points are awarded the House Championship trophy. In 2017-18, the trophy went to Collett and Alliott Houses and we look forward to finding out who this year's winners are! We are grateful to for supporting this event.